Hi everyone and welcome to The Scoop #121! I hope your weather has been as fabulous as ours has here in NC for the last few days. 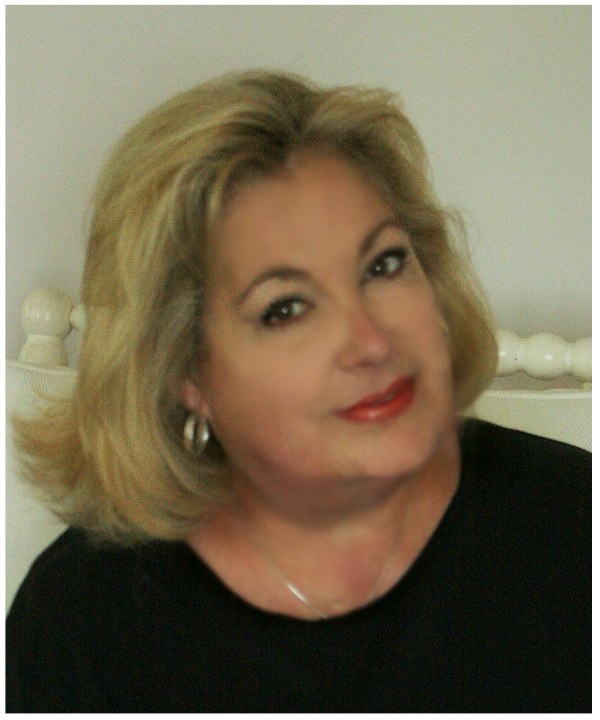 We’ve really been enjoying perfect spring weather – warm temps and low humidity. Love it. 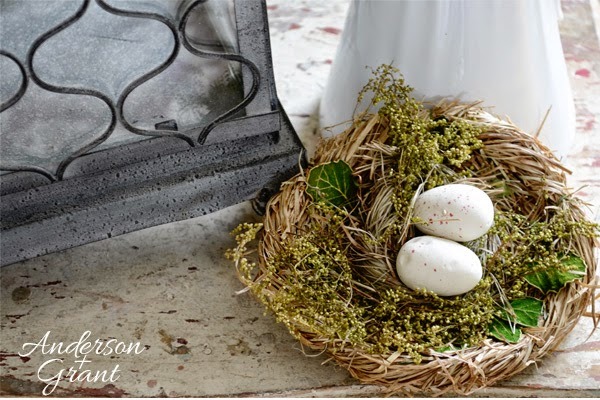 This week I’m participating in the All Things Home Elements of Summer event where a total of thirty-five bloggers are celebrating all sorts of summer inspiration! 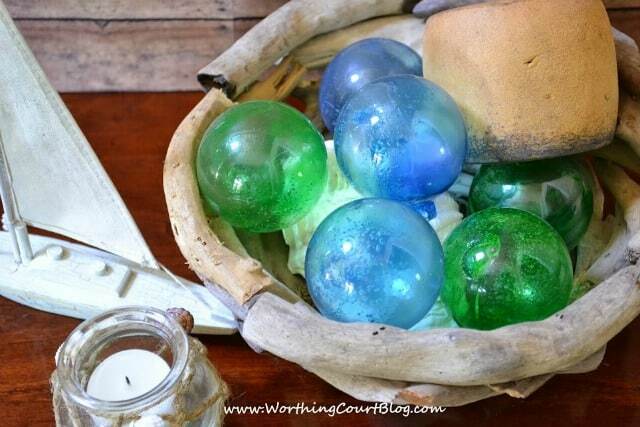 Click on the link to to learn how to make my easy and fun Glass Fishing Floats. Now show us what you’ve been up to! Hi everyone! Hope you are all ready to party and get inspired. Every week we have hundreds of fabulous, creative posts from fellow bloggers that really are the best of the blogs! A big thank you to all our friends old and new who share their creativity with us every week! 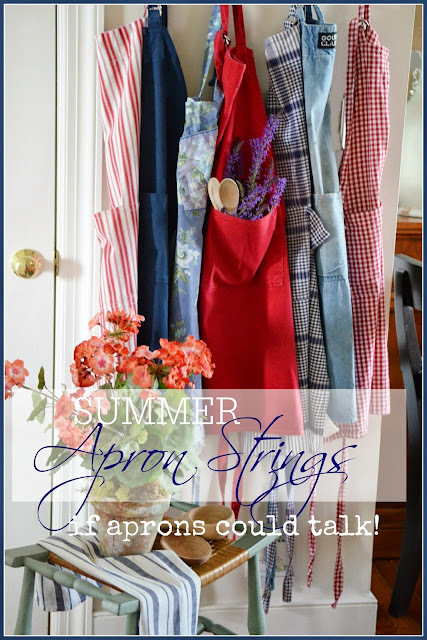 Okay girls, put on those party aprons and begin!!!! Mary from HOME IS WHERE THE BOAT IS brought along the goodies, RED VELVET CUPCAKE SAILBOATS. I am always so so inspired by Mary and her styling! Look at this upscale project! 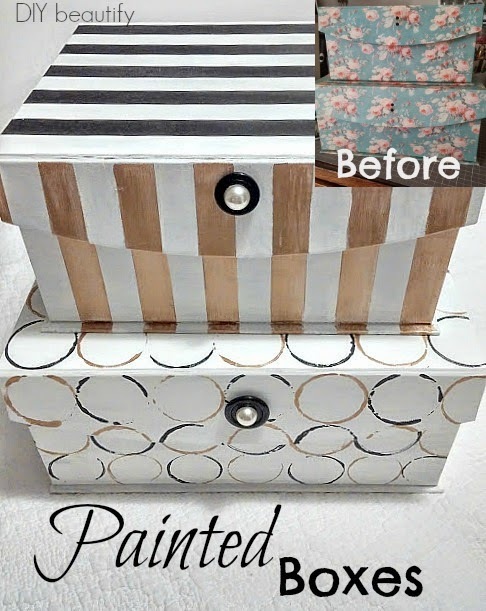 Cindy from DIY BEAUTIFY shows us how she UPDATED STORAGE BOXES WITH PAINT. What a transformation! Don’t you love organizing posts? 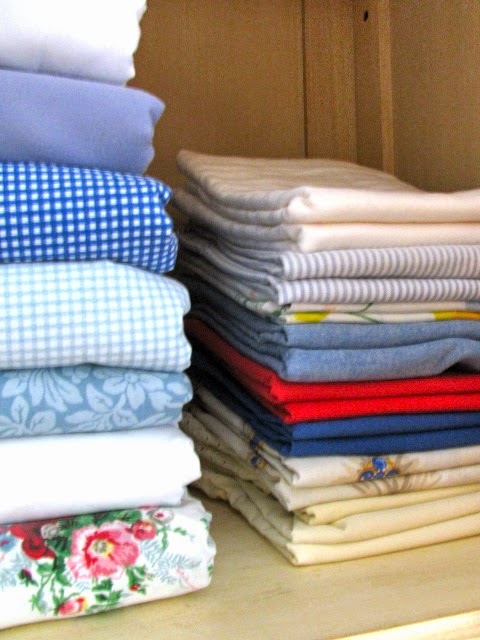 Rita, from MAY DAYS shares her beautifully ORGANIZED BED LINENS. 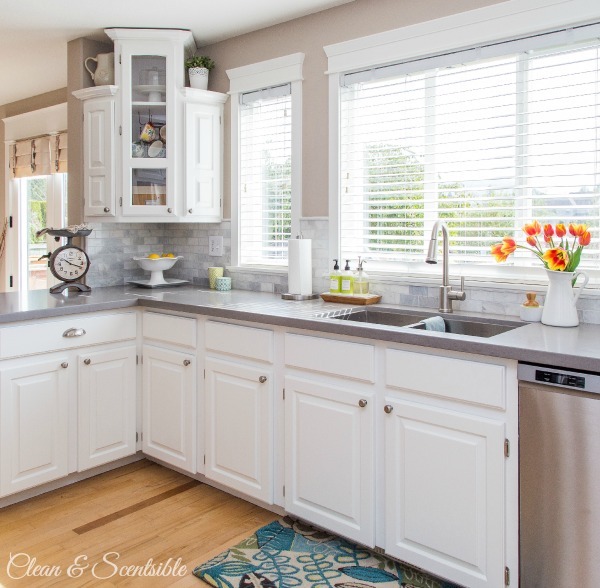 Great tips and what a beautiful post on creating a well kept home!!! !